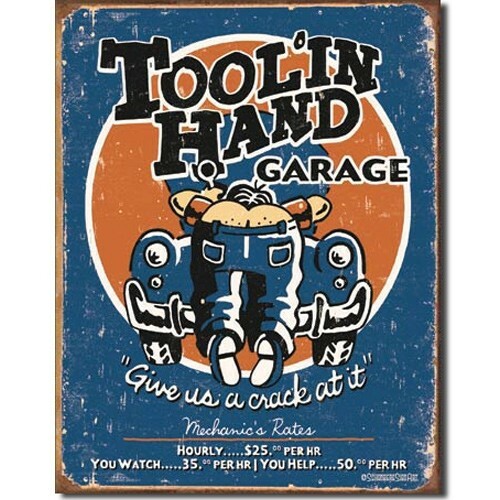 Text on Tin Sign: Tool'in Hand Garage, "Give Us A Crack At It"
The great advantage of metal signs is that, unlike paper prints or posters, they are long lasting, versatile and durable. 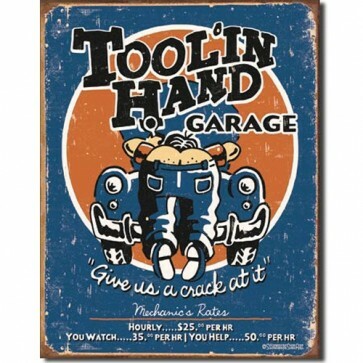 Tin signs are lightweight and easy to hang. With timeless shapes and designs, tin signs make fabulous additions to any room in the home or office.